Locals missing the scenic beauty of Sonoma Overlook Trail have only a little longer to wait, as the trail is reopening with fanfare on Sunday, April 28. On that morning the Overlook Trail, closed much of the winter so workers could repair nearly two miles of pathway, will be fully accessible by the trail’s main entrance off First Street West near the Mountain Cemetery gate. A celebration with refreshments will be held at the kiosk there at 11 a.m. to thank the hundreds of community members who funded, supported, and worked on the project. Guided tours are available and the Sonoma Overlook Trail Stewards will be on hand to explain the improvements and changes. Rehabilitation of the site’s lower and upper trails required nearly $200,000, and most of the money was raised locally through generous donations from the community, Overlook Trail fundraising events, and from grants from local organizations such as Kiwanis, Impact100, Wine Country Weekend and the Evans Foundation. 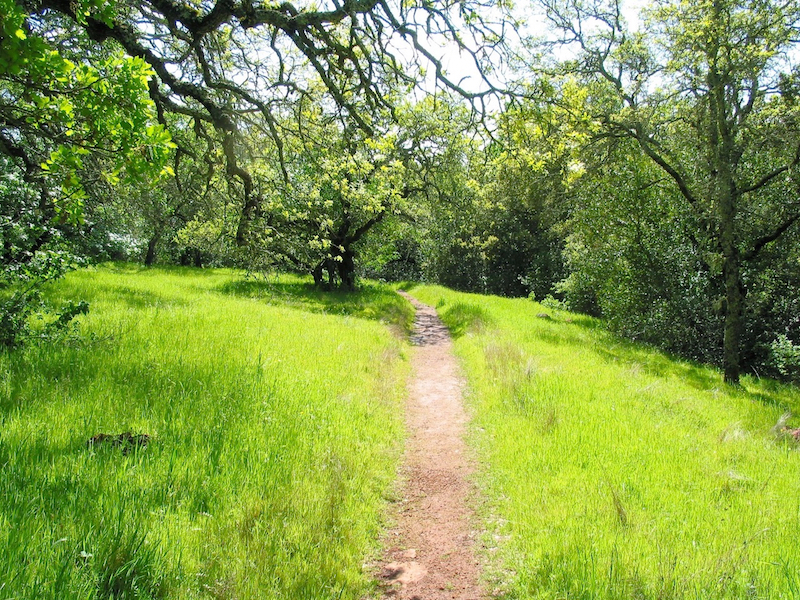 The City of Sonoma, which owns the Overlook Trail and partners with the SOT Stewards and Sonoma Ecology Center to oversee it, also won a $55,000 grant from the state’s Habitat Conservation Fund. Although the rehabilitated upper trail reopened last fall, the lower trail continued to be off limits so that a segment could be rerouted and other areas restored. In addition, it is estimated that more than 1,000 community volunteer hours, organized by Sonoma Overlook Trail stewards, have been devoted to the project. The trail receives about 50,000 visits annually from residents and visitors, Kemper said, and has experienced much wear and tear since its creation almost 20 years ago.